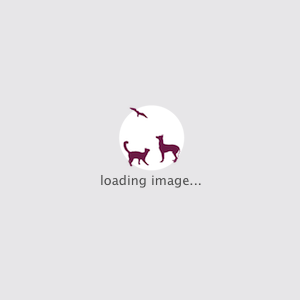 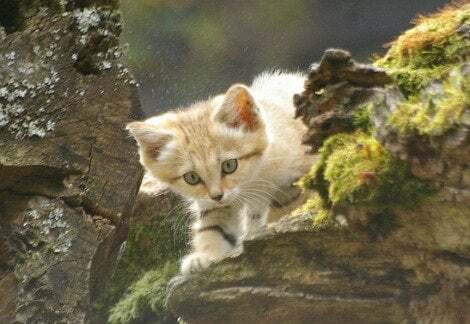 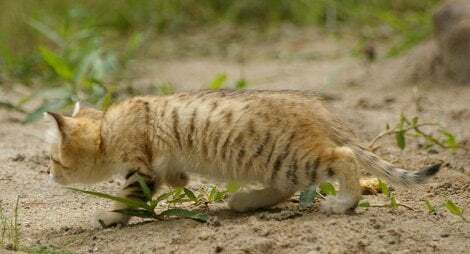 Earlier this month, Sweden’s Parken Zoo welcomed two new Sand Cat kittens. 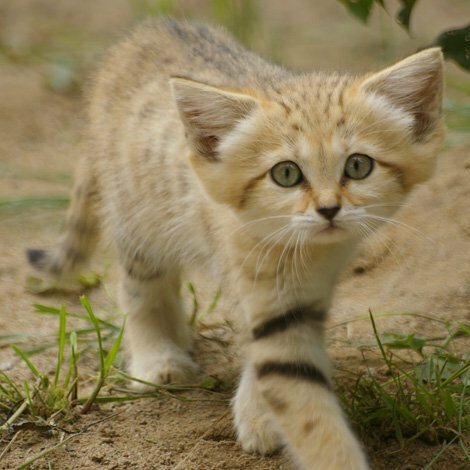 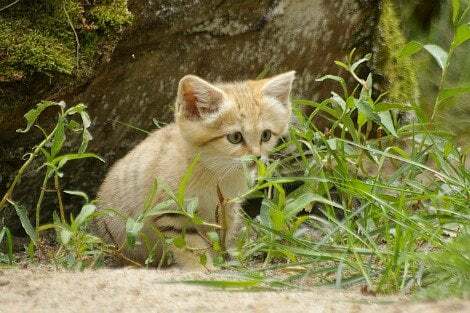 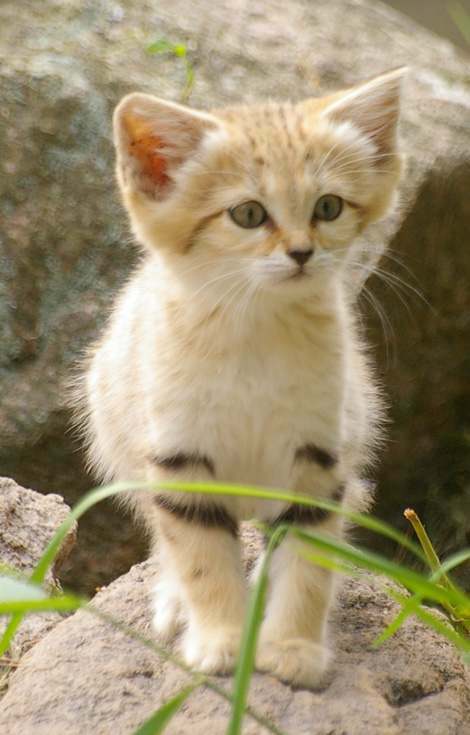 Small and stocky, the Sand Cat’s oversized ears help to dissipate heat and detect prey scurrying along the sand, much like the Fennec Fox. 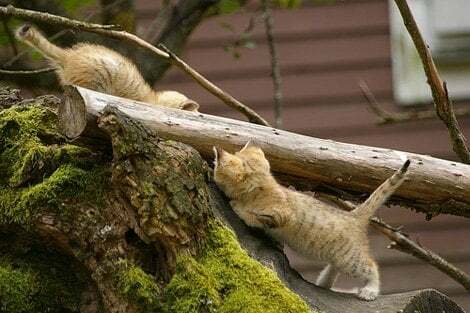 Watching the curious kittens exploring their enclosure can’t help but make you think of their domestic cousins.